Home networks are no longer composed of a desktop computer, a printer and maybe a laptop. They have grown tremendously in the last few years and their complexity now resembles business networks. If you want to learn just how complex home networks are today and what are the main challenges of home networking, don't hesitate to join this webcast. 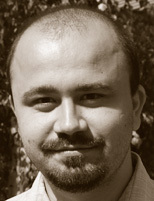 Ciprian Rusen is a technology aficionado, former IT Project Manager for a major consumer goods corporation, and author of the book Network Your Computers & Devices Step by Step. He loves to experiment with the latest technologies, learn how to best use them and share his knowledge with others via his website 7 Tutorials.